When you’re trying to push for change, you’ll hear “but it’s always been that way” quite a bit. It’s never a great excuse, but in the cutting-edge world of auto styling, doing things the same way for no good reason seems especially old-fashioned. Fender bling is nothing new. Buick introduced Ventiports, portholes atop the front fenders, in 1948, and for a time they were even functional. But the current fender-faker trend traces back to 1996 with the BMW Z3’s nonfunctional-but-convincing gills. Import tuners flocked to the look, and OEMs weren’t far behind. Now, designers can’t stop slapping vents on fenders, none of which seem to offer any actual ventilation. Why do new cars need all this imaginary airflow? Our world keeps advancing at an incredible pace, day in and day out, year after year; what’s even more incredible is that we seem to always be expanding and growing faster than we were before. Anyone reading this has likely seen a technological breakthrough or two within their lifetimes, due to the advancement of mobile phone technology alone. Not to mention all of the breakthroughs in medicine, computers, and space exploration, to name a few. Even television has had radical changes in the past 20 years, going from those huge “tube TVs” to smaller, yet higher definition sets. One industry in particular, though, is overdue for some radical breakthroughs of its own: the automotive industry. While the automotive industry has definitely made some impressive advances in the past 20 years, seldom has something come along that completely changes our perception and the way we think about cars and transportation (with the Prius being one of the few examples). Today’s infographic from Mashable shows us some of the features and changes we can expect to see from our vehicles within the next five years. One of the most interesting changes that the graphic covers, especially concerning resource conservation, is the potential move from gasoline-powered engines to hydrogen power instead. And of course, what kind of futuristic car tech graphic would it be if it didn’t include arguably the most discussed and anticipated vehicular innovation of the past few years? That’s right, self-driving cars (hopefully by 2018). For more info on what we can look forward to from our transportation in the near future have a look at the graphic below. The sickly sweet smell of hot coolant is never a good sign. It typically signals that a hose is blown and that your car isn’t going anywhere, bad news when you’re, say, on the side of the road somewhere in rural South Dakota and you have no cell phone reception. In such an emergency, you have two choices: Wait for a tow truck or a good Samaritan to pass by, or fix the problem yourself. With just some basic tools and ingenuity, you can be rolling again quickly. Click through for tips and temporary solutions to five common problems that could leave you stranded on the roadside. Roadside repair is easier with some basic tools and supplies. A pair of small locking pliers, plus a length of soft wire and a flat roll of duct tape. To this, we would add wire snips, tie wraps, a good multitool with a sharp knife, Rescue Tape and electrical tape, a rag and a flashlight. Duct tape and a plastic trash bag can cover a broken window until you can get it repaired. If available, use a 3-millimeter “contractor” trash bag, which is three times thicker than a typical garbage bag. Cut the bag to fit the window frame. Secure the top edge with tape, then put a length of tape on the bottom edge and try to pull it taut before sealing it down. If it’s tight, it will last longer and make less noise. Then tape down the sides. If the radiator hose blows toward the end of its length, it may be possible to unclamp the hose, cut that portion off, put the clamp back on and reattach the hose. Otherwise, patch the hose by wrapping it with self-fusing silicone Rescue Tape, which can withstand pressure to 700 pounds per square inch and temperatures to 500 degrees Fahrenheit. Let everything cool down first, and then wipe the hose so the tape gets a better bond. You’ll want to top off the radiator with a 50-50 mix of antifreeze and water, but water will do in a bind. The sparks look cool at night, but a dangling pipe could catch on the roadway and be torn completely from the car, along with other, more costly parts. The exhaust system usually is suspended from the car with rubber hangers, which can dry out over time and break. They can be easily replaced with some stout wire — a coat hanger is classic. Let the exhaust cool down before you work. Be sure your wire is not touching moving parts, such as the drive shaft, and do not attach it to brake lines or electrical wiring. About the size of a garden hose, the heater hoses carry coolant from the engine to the heater core, located on the firewall or under the dash. They can deteriorate, fail and spew coolant. If a heater hose blows near its end, try to cut off the hose and reattach it. If you don’t have Rescue Tape or the fitting has failed, simply cut the hose at the firewall, bend it over in the middle like you are kinking a garden hose, and secure it with tie wraps. You’ll need to do this to both hoses. Now coolant will stay in the engine. Top off the radiator ASAP. You can’t change a flat tire if the lug nuts are stuck, whether due to corrosion or a grease monkey who torqued them on too tight with an impact wrench. The first trick is to position your lug wrench parallel to the ground and pointing to your left, and then stand on it. Your weight will often break the nut free. If that doesn’t work, put a 10-inch section of water pipe over the end of the lug wrench. It’ll extend the wrench handle and give you more leverage. MSN posted this article for summer time fun! Cooled cupholders and tailgate speakers…let’s get this party started! Anyone can plan a great summer drive by donning polarized shades and stuffing the trunk full of outdoor gear. But not everyone can cool their lemonades without ice or camp comfortably in their car — and very few drivers avoid being scorched by their leather seats. To really cruise in style and comfort, you’ll need a car that sports the latest warm-weather features. We’ve chosen nine such features, most of which are available only as factory options or dealer accessories. Even if you don’t live in a perpetually sun-drenched dreamland state such as California, you’ll appreciate them when vacation comes due. Ok. So maybe they’re not secrets, but they sure aren’t common knowledge either. The more you know about how insurance works, the more you’ll be able to save off your premiums. Follow these simple tips and you’ll not only become a more informed consumer, but you’ll have everything you need to know to maximize your savings. Auto insurance coverage may be standard throughout your province, but insurance premiums are another story. Coverage from one company to the next can vary by hundreds, if not thousands of dollars. The only way to make sure you are getting the best base price for your policy is to compare, compare, compare. We offer a “Multi-vehicle discount” for customers who insure more than one car on the same policy. This can bring you savings off both cars. Again, this will qualify you for a discount called the “Multi-line discount”. We offer this savings as an incentive to get your property insurance business too. It’s all perfectly legal and it’s a great way to get another discount off your premiums. In a nutshell, the higher your deductibles, the lower your insurance premiums. Insurance was really meant to cover you for damages you could never afford on your own. If you can afford a $1,000 repair job, then raise your deductibles to $1,000 and pay less for your insurance. If your car is getting up there in age, you may want to think about dropping the collision coverage on your policy. You need to think about this one though – it’s not always a clear-cut decision. You need to weigh the cost of the collision coverage with the value of your car and your chosen deductibles. For example, if you had a 10-year-old car that was worth about $1,000, and your deductible was $1,000, that collision coverage is not going to be worth a hoot. Your driving record is one of the most influential factors in determining your insurance rate. Tickets affect your insurance rates for up to three years and accidents stay on your record for at least six! With a bad driving record, you can find yourself paying a lot of extra premium over the years. Insurance rates for cars are based on the previous claims history for that vehicle. The more likely a car is to be stolen or in an accident, the more you pay for insurance. If you are buying a new car, check with the Vehicle Information Centre of Canada or compare quotes to see how your dream-car rates. This may influence your purchase. The more you are on the road, the higher your chances of getting in an accident. Insurance rates are higher for people who commute to work. So taking the bus or sharing a ride will not only help you save on parking and gas, but will help lower your insurance premiums. Licensed drivers who have completed an approved drivers training course in the last 3 years pay lower premiums. Safer drivers pay lower insurance rates. We recognise your car is less likely to be stolen if you have an anti-theft device installed in your vehicle. Check to see if your company offers this “Alarm or anti-theft discount” and consider if the price of the device is worth the added savings over the years. If you already have an approved, factory-installed alarm in your car, we will take this into account when determining your rate. What Mother Earth devoured, Chevrolet plans to resurrect. The carmaker said Thursday it will oversee restoration of the classic cars swallowed by a huge sinkhole beneath the National Corvette Museum in Kentucky. General Motors Design in Warren, Mich., will manage the painstaking work to repair the eight prize vehicles, the automaker said Thursday. The cars were consumed when the earth opened up early Wednesday beneath a display area when the museum in Bowling Green, Ky., was closed. No injuries were reported. The museum was open Thursday except for the area where the sinkhole occurred. Just how the cars will be pulled out of the ground remains to be seen, said museum executive director Wendell Strode. The local fire department estimated the hole is about 40 feet across and 25 to 30 feet deep. The hole opened beneath part of the museum’s domed section. Chevrolet spokesman Monte Doran said some of the cars look to be in good shape, while others are buried in rubble. “It will likely be several weeks until we can get the cars out and assessed,” he said. The GM Design team has helped restore other historic cars, but the Corvette project looks to be its biggest, he said. The cars looked like toys as they plunged into the hole, piled in a heap amid dirt and concrete fragments. The museum owns six of the cars while two – a 1993 ZR-1 Spyder and a 2009 ZR1 Blue Devil – are on loan from General Motors. Pictures of the sinkhole showed a collapsed section of floor with multiple cars visible inside the hole. A few feet away, other Corvettes sat undamaged. They were later removed from the damaged area. Sinkholes are common in the Bowling Green area, which sits in the midst of the state’s largest karst region, where many of Kentucky’s largest and deepest caves run underground. The damaged cars were insured, but the coverage likely won’t fully cover all the restoration costs, Strode said. Once again, GM is stepping forward to help. The first task is to stabilize what’s inside the sinkhole and near it, Strode said. That could take about 10 days, he said. Then will come the extraction by crane, but the timetable hasn’t been determined, he said. The museum also has insurance coverage for damage to the structure. A construction management firm has been hired to oversee the project, and engineering teams have also been brought in. The goal is to have the structural repairs done in time for the museum’s Corvette Caravan in late August, a celebration marking the museum’s 20th anniversary. Thousands of Corvette enthusiasts are expected to converge on the museum in their models of the classic American sports car. When you have an ink stain on your car upholstery, your car loses its value. You also would want your car interior looking nice all the time. Ink is one of the toughest stains to remove so getting rid of it is going to be challenging. Use these simple steps to effectively remove that ink stain, whether it be on your leather car upholstery, fabric upholstery or PVC upholstery. Deal with the ink spill immediately. You will have a harder task removing the stain once it sets in. First focus on removing the excess ink using a dry towel or a paper towel to absorb the excess liquid. 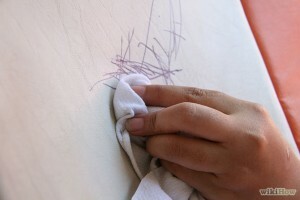 Blot the ink spill and put a little pressure on it, but don’t rub or scrub it since that could spread the stain. Try to remove as much ink as you can working from the outside towards the center. This will prevent the stain from spreading. The method you apply to remove the stain will depend on the type of upholstery in your car. Only a small fraction of car upholstery are made from leather. Most car upholstery are made from non-leather materials like PVC. Ink stains often come out with rubbing alcohol. Use 90% isopropyl alcohol but you can use 70% if that’s the only one you have. First, test the alcohol in an inconspicuous place of the car upholstery to make sure that it won’t damage the upholstery material. Apply rubbing alcohol on a clean white cloth. Do not pour alcohol directly on the stain. Dab the ink stain with the cloth carefully. Do not rub or wipe. Rubbing will cause the stain to spread. Repeat the process again until the cloth is not absorbing any more of the ink. Make sure to change the cloth when it is saturated with ink. Extract the water by putting a dry towel on the affected area. Vinegar works wonder on ink stains. Its acetic properties make it remove stains effectively. Plus, it’s safe to use, gentle on hands and environment friendly. Combine 1 tablespoon of dish washing soap and 2 teaspoons of white vinegar in a cup of water. Rub gently. Rubbing too hard will cause the stain to spread. Let it sit for about 10 minutes and then wipe it with cold water using a soft cloth. Rinse the affected area thoroughly. Repeat until the solution is completely gone. Use a dry towel to absorb the moisture. Taking out ink stains from leather is tough, especially when the ink has already set into the leather. Leather’s surface is porous and very delicate so use the methods in this section cautiously. If the stain is still fresh, warm soapy water can do the trick. Mix 1/2 teaspoon of liquid dish washing soap with a small amount of hot water to make a solution. Stir the solution until lots of soap suds are formed. Dip a soft cloth on the soap suds. Gently wipe the ink stain with the soapy cloth. Repeat the process when necessary. Use a clean damp cloth to rinse off the solution. Make sure to rinse the area thoroughly. Use a dry towel to extract the moisture. Follow up with a leather conditioner.This will help prevent future stains and seal some added moisture into the leather to prevent it from cracking over time. Rubbing alcohol, preferably Isopropyl alcohol can remove the ink stain from your leather upholstery. It works easy on fresh ink but with old ink stains, you might need to repeat as needed. Test first the alcohol in an inconspicuous place of the upholstery to see how the leather will handle the alcohol. Damp a white cotton cloth with alcohol. Do not pour directly on the leather. Blot the stain with the cloth.The ink will start transferring to the cloth. Do not rub, just blot the cloth. Repeat the process until the ink stain is gone. Make sure to change the cloth when it becomes saturated with ink to prevent re-staining the upholstery. Follow up with a leather conditioner. This will help prevent future stains and seal some added moisture into the leather to prevent it from cracking over time. Shove the pin into the nozzle of the windscreen wiper. Wiggle it about a little. Aim the nozzle for where you want the water to land. Test it. Repeat if this hasn’t worked the first time. An easily preventable accident left a woman devastated after a trailer became unhitched on the freeway. Christy Cox’s husband Jeremy was driving his SUV with their two children when a trailer in the lane next to them unhitched. It flew through the windshield and crushed the left side of the car. He and the couple’s three-year-old daughter were killed instantly. Only her son survived the crash. The trailer was missing a safety pin and the safety chains required by law. The Today Show’s Rossen Reports investigated the consequences of improperly secured trailer hitches. In most states, two chains are required to keep a trailer hitch secured to a car, but Lt. Brian Orr of the Oklahoma State Highway Patrol told Rossen Reports unsecured trailers are common on roadways and extremely dangerous. Without the two security chains trailers can quickly become missiles, damaging anything in their path. According to the National Highway Traffic Safety Administration over 300 people have died since 2008 from improperly hitched trailers. 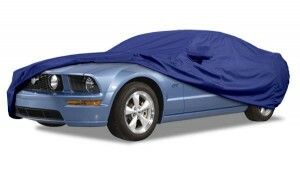 Most car covers will have a “Front” tag either sewn or stamped to the front of the cover.Use this to determine the front and rear of your cover.